...I am back to a normal diet, normal water consumption and consuming the myriad of vitamins and supplements that I have been experimenting with this pregnancy. I thought I would share some of them with you today. I briefly considered prescription prenatals, but then decided I know myself and I know I would run out and then forget to call back in for another bottle and blahbity blah. These tasted the least fishy to me in my last pregnancy, so I stuck with em through breastfeeding...which then led into pregnancy again, so. Yeah. They are a staple in my cupboard. Additionally, I take a Vitamin D supplement. Every day. 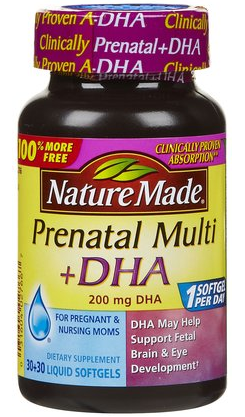 Throughout the end of my pregnancy, just like last time, I have added Evening Primrose Oil to my nightly regimen. So far I am just taking them orally, as I haven't (and continue) to not really have a problem with my cervix softening and ripening, which is what the capsules are meant to do. In any case, this time around, I have also added some new regimens to the routine. 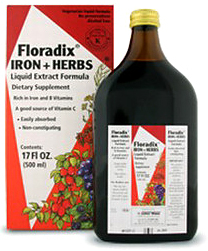 Due to my bleeding after delivering Evelyn, the midwives prescribed some heavy iron supplements for me, and then after those tapered off, suggested I continue with a liquid Iron Supplement - Floradix - for a while afterwards, just to make sure things were all fine and dandy. P.S. Our health food store does not charge as much as the Floradix website - though I buy mine in smaller sizes, soooooo...who knows. Also the midwives have coupons. Regular OBs might too! Some people like the taste of this stuff. Unfortunately, I cannot claim to be among them, but you only take 10mL twice daily, and let's face it, I used to shoot way worse stuff back in college, so every morning and evening I just gear myself up and pretend like I am partying. I really credit this stuff for my quick bounce back after delivering Ev, among other things like, you know, natural childbirth, etc. so this time around I decided to start taking it in advance. The midwives concurred with my guess that this would be a good idea. Nope, that is not a new fancy drink for St. Patrick's Day. P.S. Don't you LOVE our neighbor's paint job on their windows? Cue eye roll. It is really that green, though. 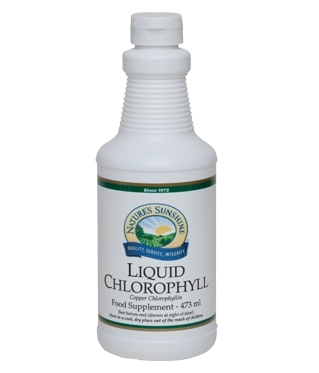 It's Chlorophyll. 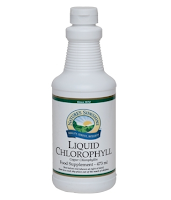 Chlorophyll is known to help your quality and quantity of red blood cells, and the midwives suggested this as an option when I asked what I could do to hopefully prevent the bleeding that I experienced post delivery last time. Because I experienced it one time, I am likely to experience it again, blah blah, and since it wasn't really that bad (I was still home with babe in arms at the 24 hour mark (read: as soon as we could get home) ) my main reasoning for avoiding it is avoiding that rough, post delivery, internal exam again - youch! - which is flavored with Peppermint. You take a tablespoon of the stuff mixed into a glass of water or juice (I do water with plenty of ice) and to be honest, I was expecting it to taste as brackish as it looks. 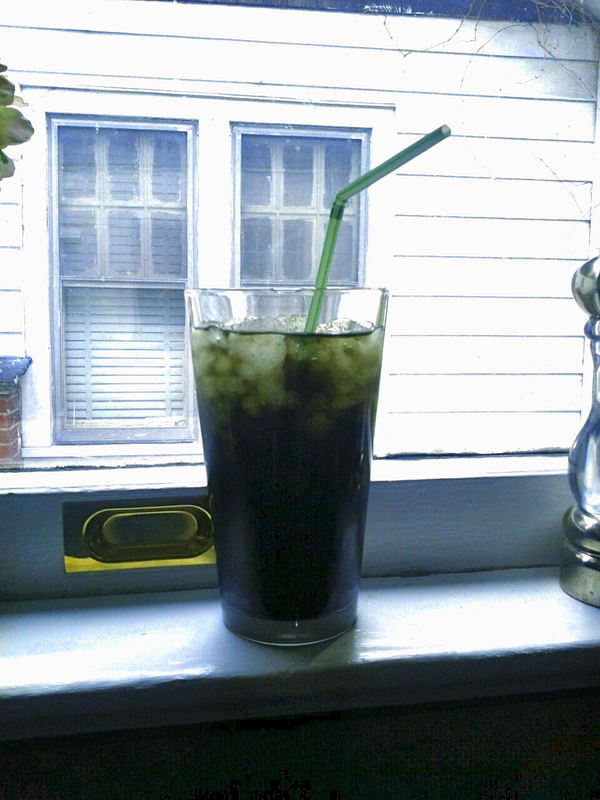 Instead, it tastes sort of like a weak mint iced tea. Sort of refreshing first thing in the morning, not gonna lie. So, there it is. My regimen. Minus the Zantac and Tums and Papaya Enzyme for heartburn as needed. Most of it will continue post delivery. But hopefully there won't be any need for the heartburn jazz. I am SO OVER that. ...and depending how this day goes, I am gonna try to get my 37 and 38 week posts up here! 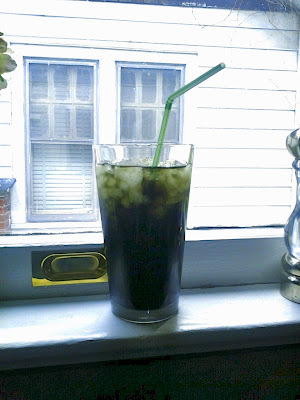 The chlorophyll made me barf every time I tried to drink it. I had to just leave that one out. Yay for vitamin D every day! It is so important!